Between Delden’s old city centre and the Roman Catholic Church lies St. Elisabeth nursing home. The current five-story block of flats will be demolished and replaced by a building with a two-storied ‘hof’, a building built around a courtyard, and a pitched roof. 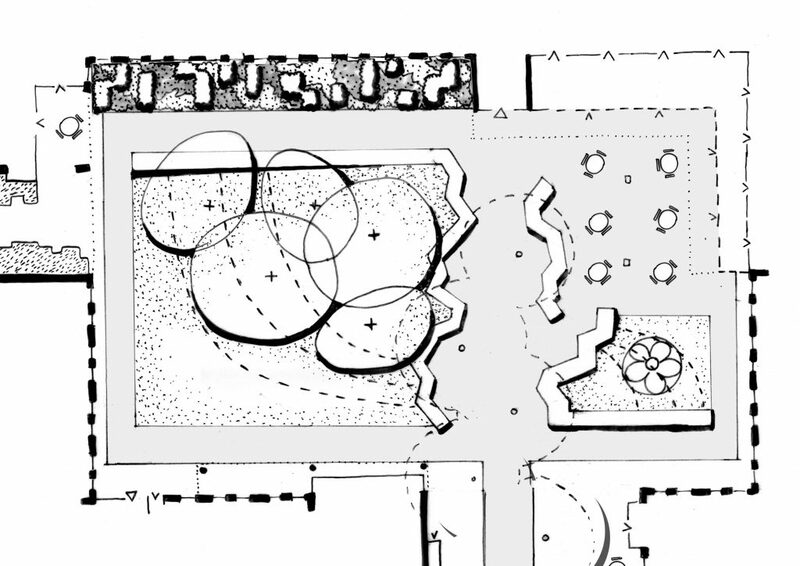 The number of patients will be reduced and with the introduction of gardens and courtyard designed by Bureau B+B, maximal use can be made of these green spaces and their healing qualities. 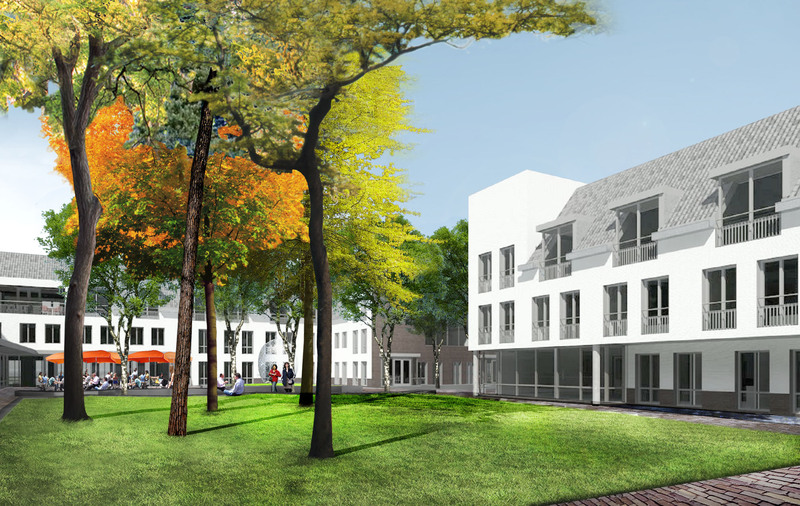 The new building matches the structure of the neighbourhood and its location next to Delden’s city centre. Its open façades and relationship to public space makes St. Elisabeth an integral part of the city. The proximity to the church and graveyard give the site a green setting that continues into the gardens. To give those living in the neighbourhood a chance to enjoy the Hof and the gardens, various pedestrian routes to the centre have been designed. A place for frequent, relaxed encounters between St. Elizabeth’s residents and their neighbours. Follow the adjacent, narrow road,‘t Kip, and find yourself surrounded by the landscape of Twente. 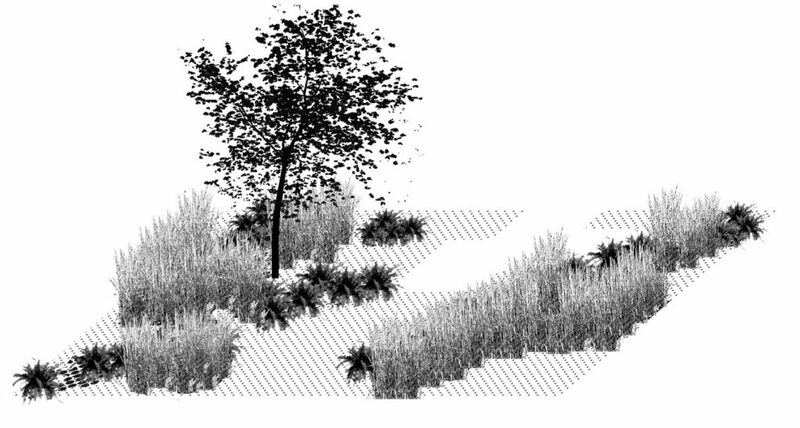 The influence of this landscape is tangible on this site and is fostered in the design. Two types of façades can be distinguished in the buildings: the representative face and the intimate garden side. 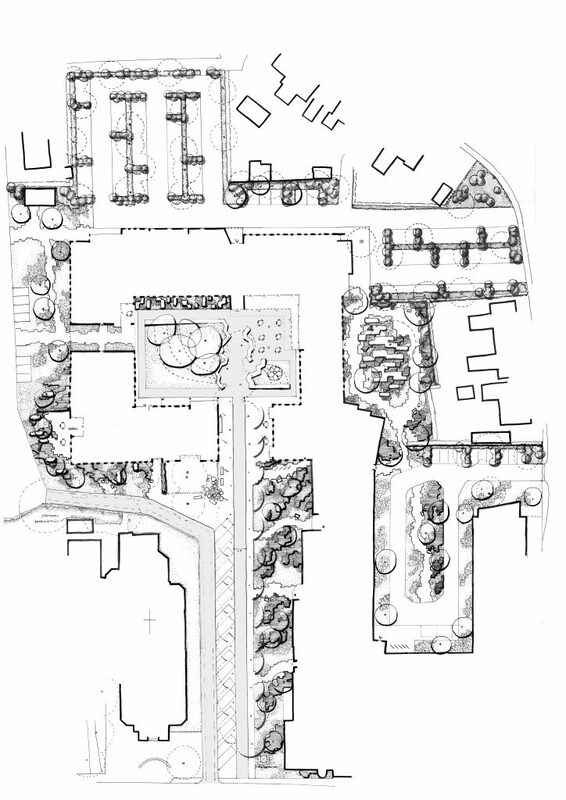 This creates a division in the site plan, with a paved plaza and intimate enclosed gardens. The birch-lined avenue guides the visitor to the Hof. 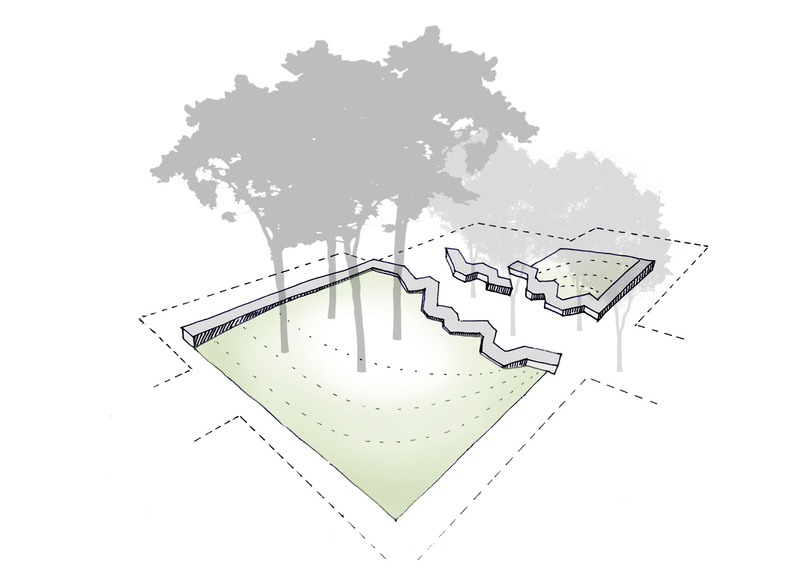 This space is divided into two elevated lawns surrounded by dark, cut-stone seating. There is a terrace next to the restaurant. The children’s day-care centre looks out from the conservatory onto a sloping lawn. From here, visitors can meander through the trees towards the entrance. The Hof is a place for activities and encounters. People can enjoy cups of coffee on the terrace, residents and colleagues can meet and sit on the seating edge and a pleasant place to relax is created. Suddenly, the silence is broken with the sound of twittering and fluttering. The birds in the aviary chirp loudly as they fly around after one other as the statue of St. Elisabeth watches peacefully.